Editor-in-Chief Alan Toogood is an experienced horticulturalist. Having trained at the Royal Botanic Gardens, Kew, he went on to study at the Royal Horticultural Society's Garden at Wisley, Surrey. He works as a freelance writer and journalist, writing for such magazines as Gardener's Chronicle, Amateur Gardening, RHS's own magazine The Garden, and Greenhouse, of which he was the Editor for many years. 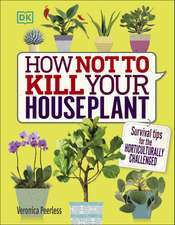 With a wealth of expertise behind them, other contributors to this book include the herb expert Jekka McVicar, vice-president of the RHS Council and president of the Herb Society, known for her organic herb garden in Gloucestershire; renowned orchid expert Wilma Rittershausen; John Mattock, whose family boasts a 175-year history of rose growing; and recently retired executive vice-president of the RHS, Jim Gardiner. The 2019 edition of the book has been revised by Julian Shaw, a collaborator on several DK gardening books, including RHS A-Z of Garden Plants. Excellent DK design means all the info is instantly at your fingertips without having to trawl through reams of dull, bossy text. 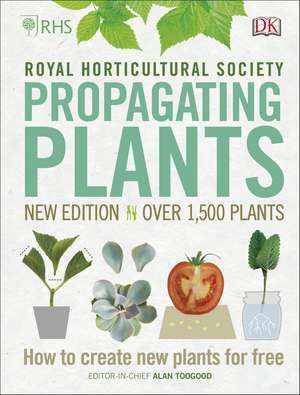 An indispensable reference book for every propagator's bookshelf.